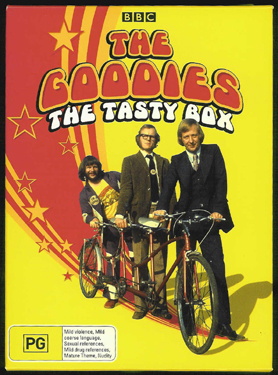 This site is a guide to videos, records, books, and other items related to the television series The Goodies and its creators and stars, Tim Brooke-Taylor, Graeme Garden, & Bill Oddie. This includes their radio work, in particular the series I'm Sorry I'll Read That Again and I'm Sorry I Haven't A Clue. 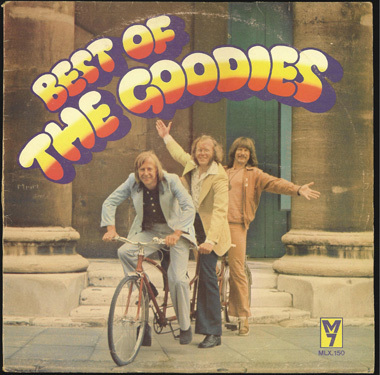 Also included are sections on the Goodies' tours and even a page dedicated to their three-seater bike, the Trandem. 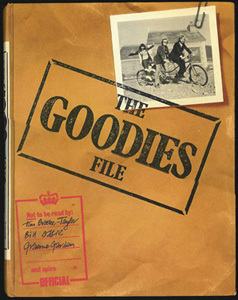 Please also visit the Guide's companion site, The Official Goodies Rule - OK! Fan Club Website (http://www.goodiesruleok.com) for Goodies news, information, fan forums, etc. Videotapes, DVDs, and comparison of the features on the various DVD releases. Records, tapes, CDs, & digital downloads including Bill Oddie's solo works and releases from Goodies-related radio shows such as I'm Sorry I'll Read That Again and I'm Sorry I Haven't A Clue. Books, magazines, theatre programmes, and sheet music. Includes tie-in books for the radio shows I'm Sorry I'll Read That Again and I'm Sorry I Haven't A Clue. Includes The Goodies' Australian and UK tour dates from 2005-2009 and a guide to the official tour merchandise. Also includes the I'm Sorry I Haven't A Clue - Official Stage Tour dates and Bill Oddie's 2013 Australia tour. 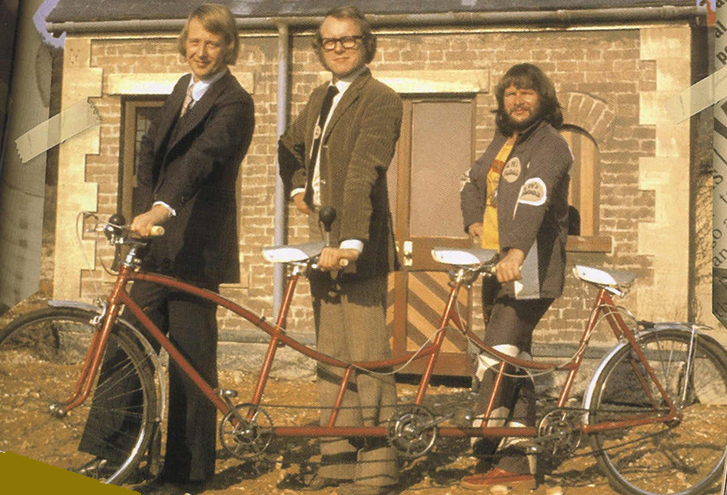 A "spotter's guide" to the three-seater bikes used over The Goodies' nine series.